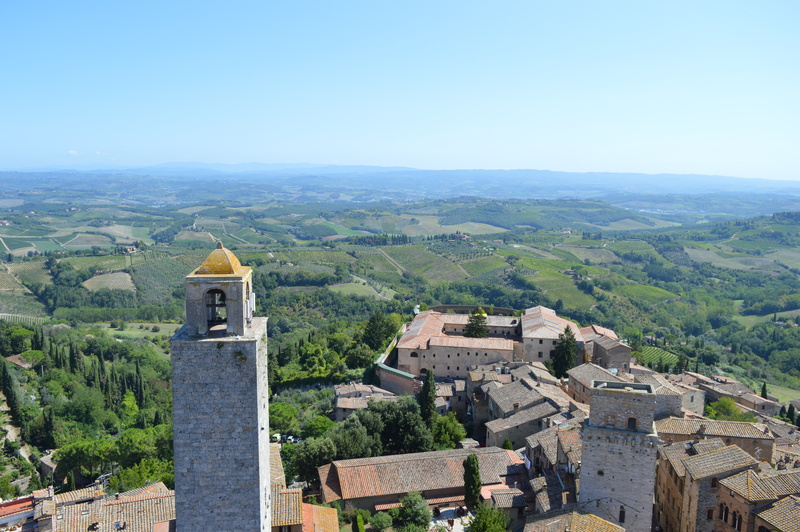 On this third day, our destination was San Gimignano, a small medieval town located in the heart of Tuscany. We arrived there by car and parked right outside the city, already getting a good look at the large towers. Our first stop was the “dome”, it’s rather small, but definitely worth seeing. All the old paintings on the wall and the ceiling are really very beautiful! As in almost every church in Italy (and here it’s very strictly controlled) you have to be properly dressed, meaning something over the shoulders and the knees. Especially women aren’t let in if they aren’t dressed right. So either dress like that or bring something quick to throw over. 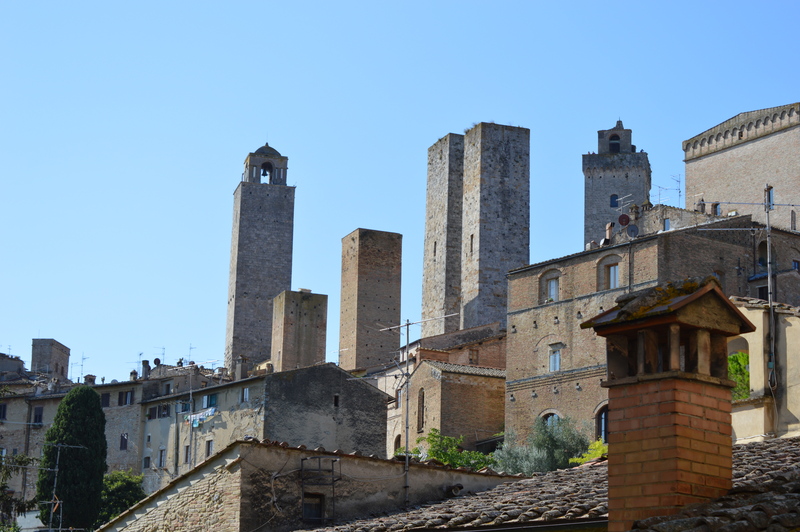 Now, we went into the “Museo Civico”, which also is the only access to the tallest tower. The museum is interesting and the sight on top of the tower just breathtaking!! Really, very very beautiful! If you’re a little afraid of heights I wouldn’t really recommend it, since the stairs leading up are see-through… But for everyone else, it definitely is a must! Afterwards we took a walk through town. 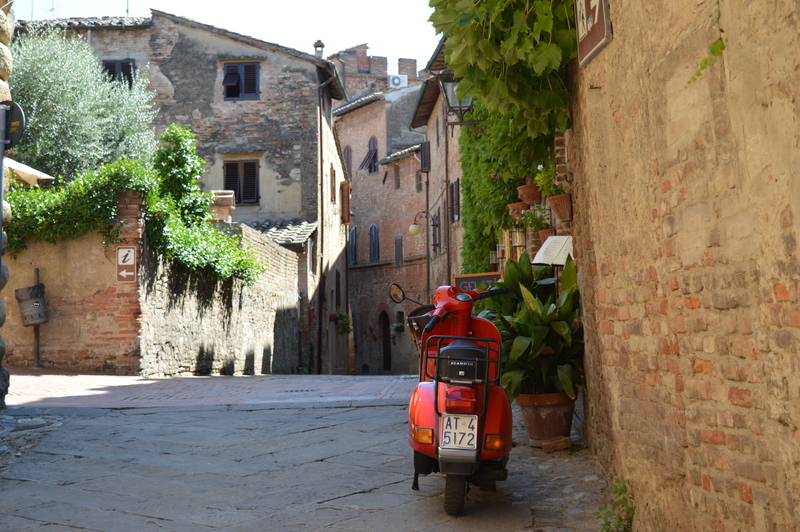 All the houses are the original from the Middle Ages and people still do live there. It’s quite fascinating. We had a lunch snack in a very Italian café! If you’re looking for not so healthy but very yummy Italian sweets, this is the place to go! 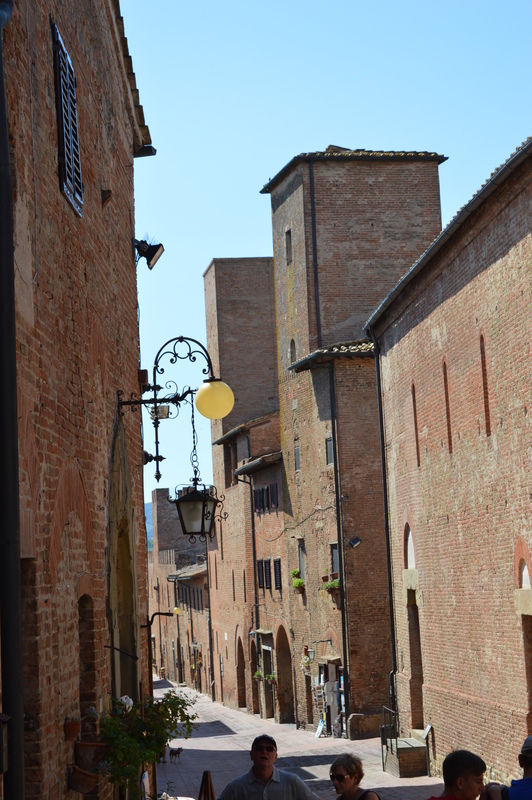 We again strolled a little through town and then got in the car to drive to Certaldo. We only spent a little while there, since it was really very hot outside and we were starting to get tired. Nevertheless we walked up the hill to the historic city center and took a look at everything from the outside. 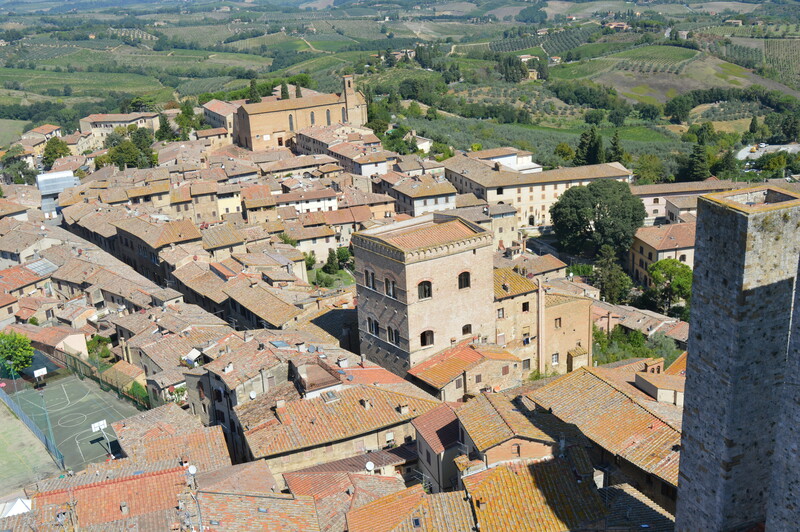 Certaldo also is an originally preserved town from the Middle Ages and very impressive! Before we drove back we took a look at the church with Boccaccios grave in it. It’s actually a very simple church, but when you think about it, that the people back then built it, such a long long time ago, the it’s just really impressive. All in all both city’s are very very impressive, them being so old and still standing, is just amazing! My day was a pretty good one, especially because it ended with a nice swim in the pool of the place we’re staying at.